Advanced control techniques to increase the connectivity and the efficiency of production systems. Rebernig Supervisioni has always worked in the digitalization of processes, more and more ready to respond to the needs of the companies, which can now enjoy economic advantages in technological progress. 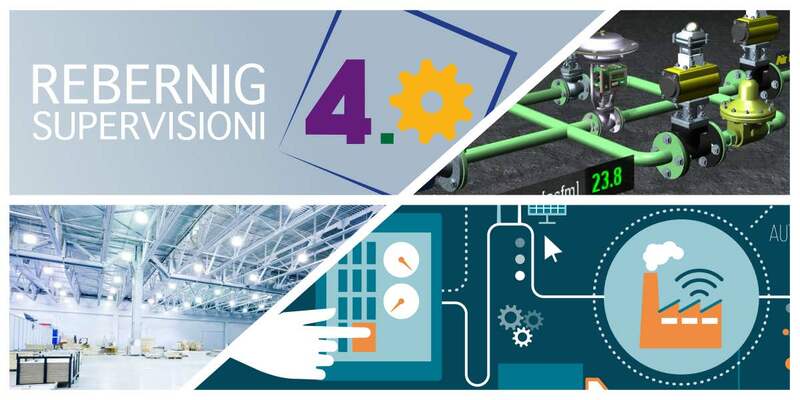 The projects related to Enterprise 4.0 allow to enhance the entrepreneurial realities with an approach that integrates and enhances all the technological processes and assets, representing a great opportunity for those companies who aim to seize the opportunities linked to the so-called “fourth industrial revolution”. The strength of Rebernig Supervisioni in building Enterprises 4.0 is the effective technological neutrality, developed thanks to the experience on different revampings performed on very diversified plants and systems. Intervening with horizontal and non-sectorial actions for the complete management of data, because collecting, communicating and managing data with Rebernig means fulfilling the need to realize solid electrical and electronic management systems, providing customers support on the investment choices in the IT world, with solutions able to guarantee innovation and continuity at the same time. Digital transformation is an unavoidable path for companies that aim to improve productivity and recover competitiveness; at the same time, to realize it there’s a need for support from partners able to bring an overview of the necessary technologies as well as knowledge and competence on the impacts related to the processes and the organizations. In this contest Rebernig Supervisioni is a System Integrator able to select the best IT products and services required to meet the needs of the customer in the information technology field, proving to be the ideal partner for companies wishing to invest in the digital transformation process through the use of IoT technologies in the industrial and “Enterprise 4.0” sector. The “Enterprise 4.0” plan of the Italian government offers fiscal incentives (including Hyper-Depreciation and Super-Depreciation) to companies that face this challenge.